FIA – 06 FiberLAB Analyzer is applicable for the test of crude fiber contents of plants, feed, foods and other agricultural products. 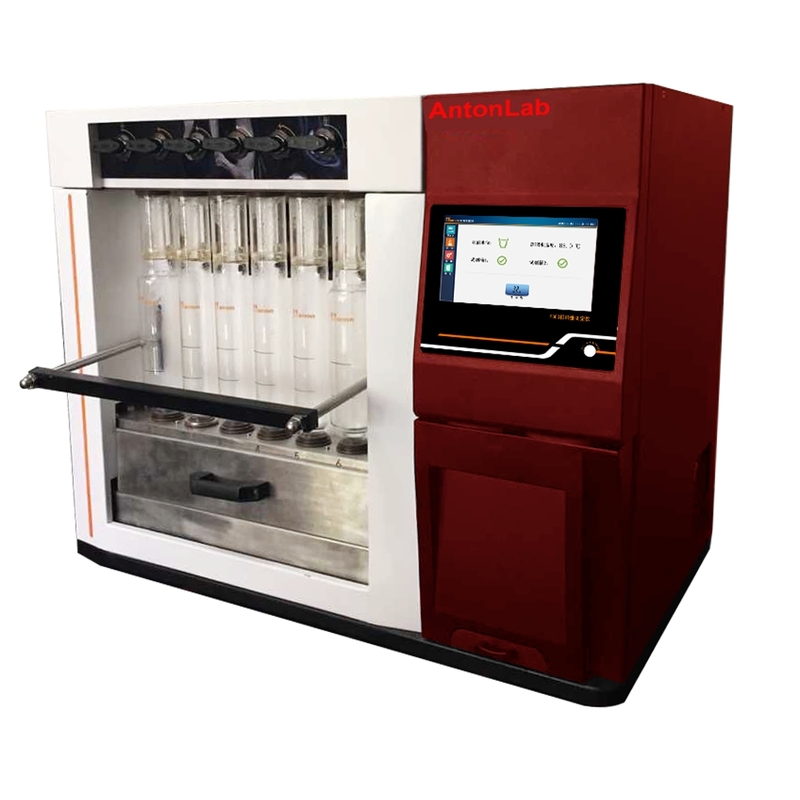 FIA – 06 FiberLAB Analyzer is an analysis instrument used to test the crude fiber content of samples through acidic or alkaline hydrolysis, flushing and filter process. FIA – 06 functions include automatic solution adding, automatic pre-heating and so on. Infrared tube heating is used, and high-precision soak extraction and filter ensure test precision; high-definition color LCD screen displays temperature and time. FIA- 06 crude fiber analyzer uses high acid/alkali resistant long-life filter pump and high-precision acid/alkali filter device, achieves the breakthrough of internal essential parts; high-efficient infrared tube heating greatly enhances temperature control and heat efficiency. FIA – 06 crude fiber analyzer can deal with six samples at the same time, and the sample digestion time can be set freely; three pre-heating routes of acid/alkali distilled water can be controlled separately, giving extremely easy operation. 4.3” high-definition color LCD screen displays current working status, temperature, time and other information; high-efficient infrared heating system includes two work modes which can be selected as needed; intelligent status locking function can prevent any accidents due to error operation; the limit of longest fluid adding time prevents solution overflowing arising from error operation. 4.3” high-definition color LCD screen displays current test status; intelligent HMI is available.